When you have moral authority people will follow you without your using force or coercion? This is true leadership and is God’s standard for us today. Cost includes 428 days of access after purchase date. When an individual or culture begins to build a legal system for authority, or a theology of authority, it is usually an indicator that they have lost their moral authority. The power to compel obedience is a cheap imitation of God’s original design. We were designed to have people desire to follow leadership that they enormously respect. 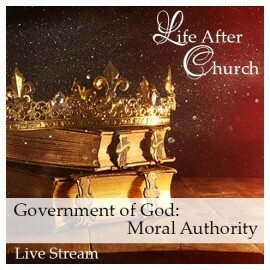 Using the symbolism of the contents of the Ark of the Covenant, Arthur explores the three core components of moral authority, showing how each individual can grow intentionally in their moral authority. Many times, in an organization you have one individual with a title of the authority based on the force they can exercise, while a different individual has the moral authority. And the people in the company quietly look to the person with moral authority to see what he or she is thinking, in spite of what the official authority said. In the Holy Communion service Arthur dealt with the role of dark time and how dark time can contribute to spiritual and emotional depression. There was specific warfare done to break free from dark time. Who would you be willing to follow in a high-risk activity? THAT person probably has moral authority. The real question is what did he do to get to that place? It is a journey of 10,000 steps, but which 10,000? Decode his life and you will find a cause, for this magnificent effect.